Insulin is a fat storing blood sugar regulating master hormone that is involved in multiple body functions beyond its metabolic role. A few examples include triglyceride and fat synthesis, electrolyte balance of sodium and potassium, feeding behaviors and cognitive and emotional brain function. Insulin resistance (IR), also known as syndrome X or metabolic syndrome, is a cluster of symptoms (weight gain, cravings and increased appetite, skin tags, gum disease, low energy) and health risk factors (abnormal blood sugar, high triglycerides and cholesterol, polycystic ovarian syndrome, high blood pressure) all resulting from abnormal insulin function. What is important to know is that just like diabetes, with IR there may be no symptoms at all. Insulin resistance is an early-stage in Type 2 diabetes but not everyone with IR will develop diabetes. Fifty percent of those with essential hypertension are insulin resistant. (1). How Many People Are Affected by Insulin Resistance? IR is more common than you may think. In the United States, an estimated 60 to 70 million individuals are affected by insulin resistance. That’s 1 out of 4 people. More than 40% of individuals older than 50 years may be at risk for insulin resistance; however, it can affect anyone at any age (2) especially overweight children and adolescents regardless of race. You can connect with this link to see a table of the prevalence of insulin resistance by country. Am I at Risk of Developing Insulin Resistance? and/or swollen fingers and ankles with sodium/potassium imbalance (12). 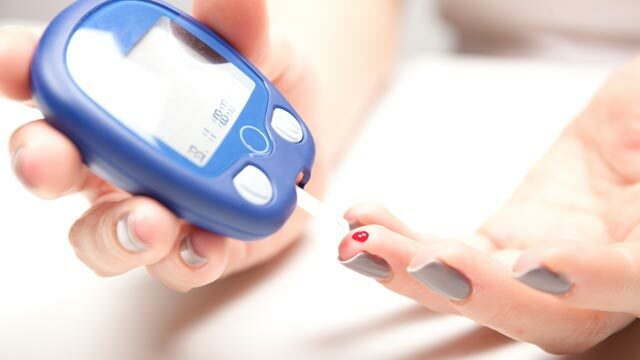 The general signs of insulin resistance may make it difficult to pinpoint but it can be diagnosed clinically by taking a fasting insulin level (over 25 ml/U/L) or blood insulin and glucose levels obtained during 120 min of a standard (75 g glucose) Oral Glucose Tolerance Test (OGTT). The table below lists normal insulin levels (13). However, many functional medical doctors believe that a fasting insulin level of less than 5 mI/U/L is optimal (14). 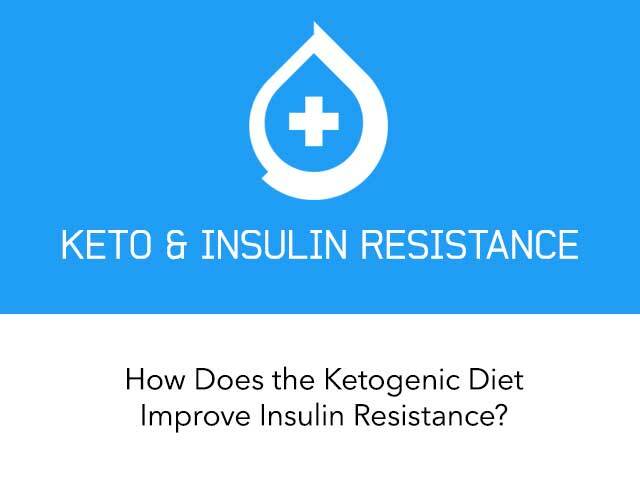 How Does the Ketogenic Diet Improve Insulin Resistance? Since 100% of the carbohydrates you consume will trigger insulin release, cutting carbs to a ketogenic level of 25-50 grams a day will help lower insulin levels. Green leafy low-glycemic vegetables are healthy low calorie sources of carbohydrates. The safety and efficacy of a ketogenic diet is well established in helping to reduce cholesterol and heart disease risk and blood sugar and insulin fluctuations (14, 15) while a low fat diet may increase these health risks. 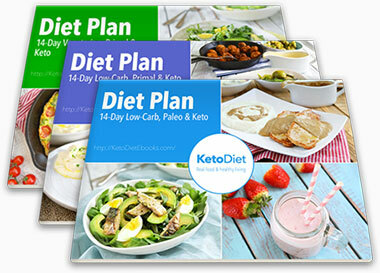 In one randomized study, 13 overweight women followed a low fat diet for 4 weeks and then a ketogenic diet for 4 weeks. "Compared to a low-fat weight loss diet, a ketogenic diet did not lower LDL-C but did prevent the decline in HDL-C and resulted in improved insulin sensitivity in overweight and obese, but otherwise healthy women." (16) In other studies, a ketogenic diet helped raise good HDL cholesterol levels in men (17). This is true for children too. For 12 weeks, 10 pre-adolescent children with GLUT-1 deficiency syndrome (a rare genetic disorder involving neurological dysfunction) consumed a ketogenic diet. Insulin levels were significantly lower without medications or adverse effects on inflammation or abdominal fat (18). Ketogenic diets are not just for adults. A family can eat healthy while feasting on delicious ketogenic meals to support good health, weight loss and insulin control. These studies support the role of a high-fat ketogenic diet benefitting heart disease risk factors and insulin levels, without causing weight gain or inflammation in both adults and children. Research has shown many health benefits for ketogenic diets. IR is increasingly common in modern-day society. If you think you may have any of the risk factors, get tested and follow a ketogenic diet to help lower insulin levels, promote weight loss, and improve symptoms of metabolic disorders like diabetes, prediabetes, and PCOS. Ketogenic diets provide a healthy way of eating the whole family can enjoy, with added benefits for insulin-resistant individuals. 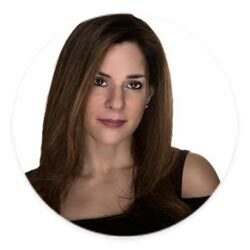 This article was written by Valerie Goldstein, MS, RD, CDE who is a qualified expert. At KetoDiet we work with a team of health professionals to ensure accurate and up-to-date information. You can find out more on the About us page. Hey ..nice blog ..i jst wanted to know y in my case ACanthosis nigricans still is persisting depite of having normal insulin level. Can I do this diet when I am allergic to dairy? Actually a "Fasting Insulin" Level of 5 or over indicates Insulin Resistance! The lab range of 25 is WAY too high! An optimal "Fasting Insulin" result is 0-5. If you think about it, it is common sense, why would you have insulin circulating in your blood stream if you have been fasting! I learned this through personal experience with my Preventative Medicine Doctor. When I went to see him, I had gained 40 pounds in a year, while eating healthy (I thought!) and exercising regularly, the "Best" endocrinologist in town told me my Fasting Insulin was "normal" at 14! When I finally found my Doctor, he explained that there is the "Lab Normal" Ranges and the "Optimal Range". 0-5 is "Optimal", not 25!!! Insulin does circulate in your blood throughout the day without food intake. It helps maintain homeostasis and is bolused with food intake or if blood sugar is high from illness or different stresses. However, it is true that a minimal amount should be in the blood while fasting. Then, more is secreted with food. What that amount is I do not know and likely it varies from person to person and with different types of foods. I do understand and I do not disagree with your point. Would you have a reference as to the optimal fasting insulin level of less than 5? Where did your doctor get that number from? I would love to see that. If we can get a reference, I'd be happy to change the post. I do believe many of the conventional lab ranges are not as specific as they should be. Your point is a valid one and well made. Thank you for your contribution. Great info for me at this time. I am overweight and need to follow a good Keto Diet to get needed results to stave off diabeties.